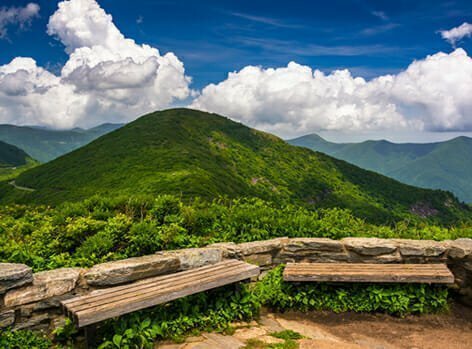 Nestled in the Blue Ridge Mountains, Asheville, NC, has long been a favorite vacation destination for romantic getaways. 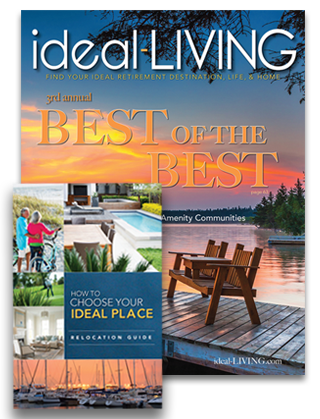 The city receives numerous accolades each year from well-known magazines and websites. 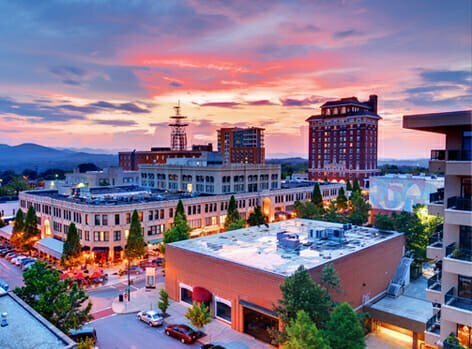 Whether you’re seeking beautiful mountain scenery, contemporary art galleries, fine organic cuisine, outdoor adventures or a romantic getaway, you’ll find them in Asheville. The city’s rich architectural legacy, with its mix of Art Deco, Beaux Arts and Neoclassical styles, is the perfect backdrop to locally owned shops and galleries, distinctive restaurants and exciting entertainment. 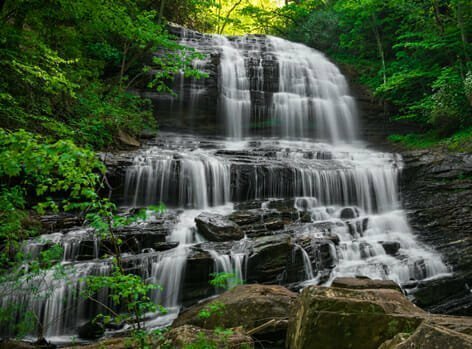 Stroll through downtown’s many art galleries, whitewater raft on a clear mountain river, visit craftspeople in their studios, hike on one of seventy-five trails in the area, explore some of the 100 antique shops or just have a refreshing drink at one of many local coffeehouses or sidewalk cafés. 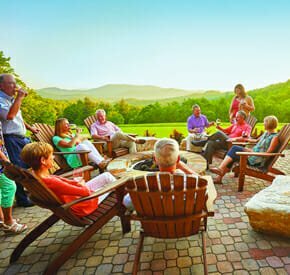 These are just a few reasons why Asheville, NC, is one of the best retirement locations. 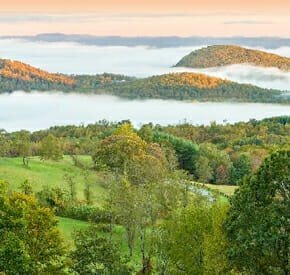 The city prides itself on its fascinating Appalachian past and celebrates this culture with annual events. One of the most popular events is “Shindig on the Green,” which happens Saturday nights during July and August. The Shindig features local bluegrass bands and dance teams on stage, and informal jam sessions under the trees surrounding the County Courthouse. Another popular event is “Downtown After 5,” a monthly concert series held from 5 p.m. until 9 p.m. that hosts popular touring musical acts as well as local acts. Asheville’s historic and architecturally diverse downtown remains beautifully preserved. 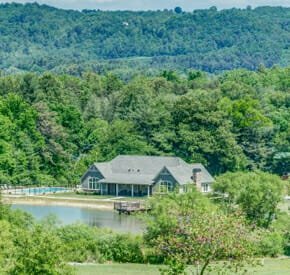 The city is known for the lavish Biltmore Estate, the largest privately owned home in America, which sprawls over four acres with 250 rooms and attracts over a million visitors each year. Biltmore Village, located at the entrance to the famous estate, showcases unique architectural features that are only found in the Asheville area. Other notable architecture in Asheville includes the Art Deco city hall, the Battery Park Hotel, the Neo-Gothic Jackson Building, Grove Arcade and the Basilica of St. Lawrence. The City of Asheville waives building permit fees for certain renewable energy technologies, as well as for green building certifications for homes and mixed-use commercial buildings. 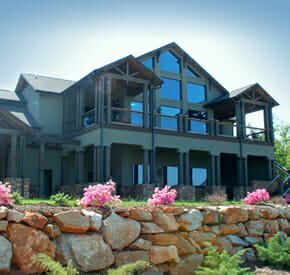 Included in this policy are geothermal heat pumps, solar-energy systems, wind turbines and stormwater collection devices. 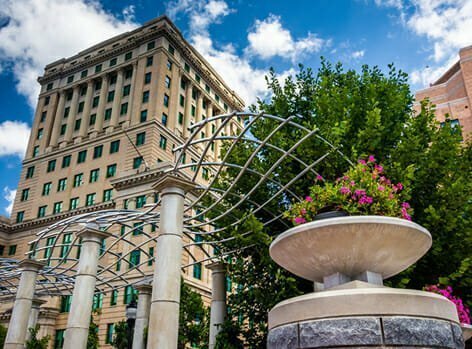 The Asheville City Council adopted carbon emission reduction goals and set LEED standards for new city buildings.